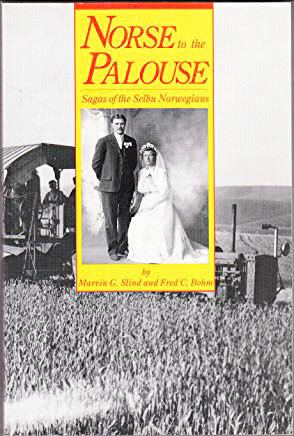 Norse to the Palouse: Sagas of the Selbu Norwegians is a fascinating account of the Norwegian immigrants who settled near La Crosse, Washington. The aughors trace their history to the mid-nineteenth century and earlier and place it in the context of what has been called the "Great Migration." Early arrivals from Norway were, for instance, instrumental in settling other communities in the area. But once the Selbu Norwegians discovered the farmland around La Crosse, they flocked to the area in large numbers. The book revisits the founding legends of the community and uncovers the real story behind this group of hearty, hard-working Norwegian pioneers. It reveals details of their daily life, discusses their faith in God, and recounts their efforts to blend into their new environment. Norse to the Palouse is an important contribution to the literature available on eastern Washington ethnic groups. This book is out of print. While copies can be found on amazon.com and used book sites, they usually cost more than the original price ($12.95). I have a few new copies, however, which I will be happy to send for $15.00, including shipping. If you are interested in obtaining a copy, please send an e-mail message by clicking on the link below, and we can work out the details.